Plans for a rail connection between the airport, Paisley and Glasgow Central Station took another step forward on Tuesday (15 December) when the Glasgow and the Clyde Valley City Deal Cabinet endorsed plans by approving £1.149 million of funding to progress work on the vital project. Now, an outline business case will be developed to evaluate two options for the new link. A review of potential options has confirmed that the best performing and most affordable solution is a tram-train. This would operate on heavy rail between Glasgow Central station and Paisley, where carriages would then move on to tram rails and run right to the door of the airport. This scheme will be attractive to travellers because its 16.5 minute journey would involve no change of train. 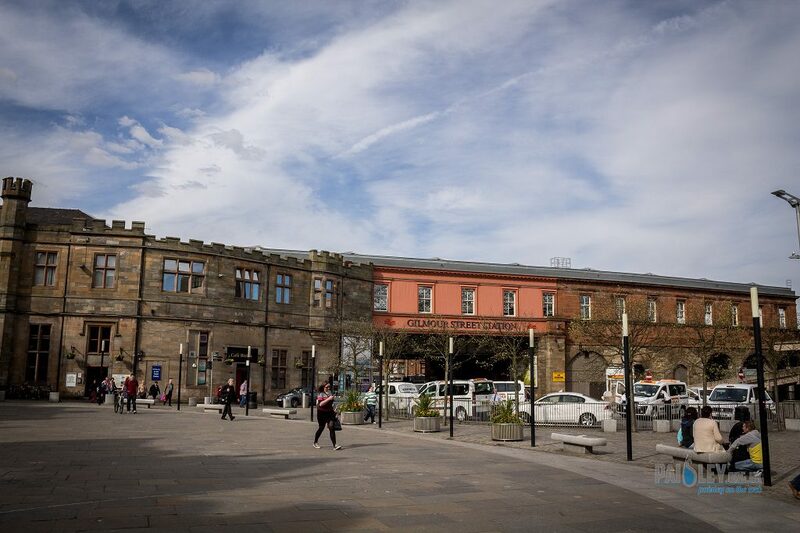 The second option involves building a light personal rapid transport system (PRT) running between an interchange on the existing rail lines at Paisley and the airport. Although cheaper to build, this system is likely to be slightly less attractive to users as passengers would need to change between the train and the PRT to complete their journey. The Glasgow and Clyde Valley City Deal is an agreement between the UK and Scottish Governments and eight local authorities. It will invest £1.13billion in infrastructure, employability programmes and business growth across the region. The airport rail connection is the biggest of these projects with an expected cost of £144m. The City Deal will bring tens of thousands of extra jobs to Glasgow and the Clyde Valley over the next few decades through 20 major infrastructure projects; drive innovation and growth through the support of key sectors such as life sciences; and address challenges in the region’s labour market. Two other infrastructure projects will contribute to Renfrewshire’s long term economic success. The Clyde Waterfront and Renfrew Riverside scheme will build a bridge over the Clyde from Renfrew to Yoker. This will link to a new road offering an alternative traffic route around Renfrew and avoiding Renfrew Cross. The investment will open up unused land for development, attract business to Renfrew and create new commercial and cultural links between communities on both sides of the river. Plans for the Glasgow Airport Investment Zone include roads, cycle ways and a bridge. These will join up the Inchinnan, the Airport and Westway Business Parks to create a major growth location with tremendous air, sea and land connectivity. Tuesday’s cabinet also approved funding for the Cathkin Relief Rd and Newton Community Growth Area in South Lanarkshire and for Glasgow’s Canal and North Gateway-Sighthill projects.